California-Style Pesto Rice Bowl Fill 1 Created with Sketch. 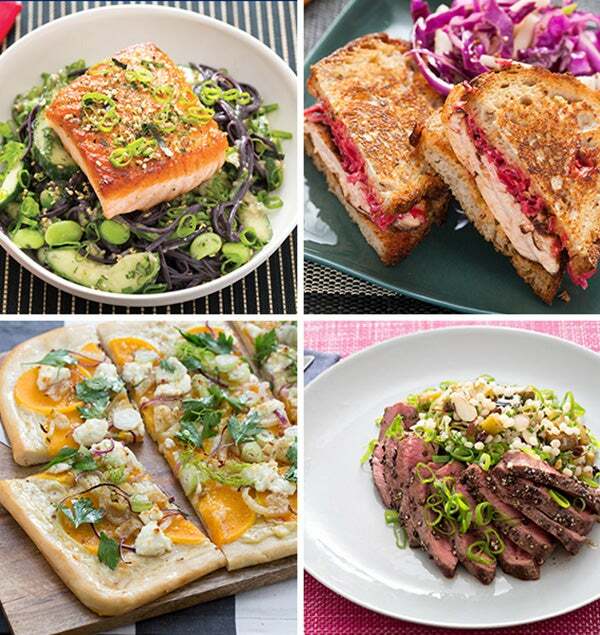 For eight weeks, we’ve been exploring the country’s culinary wonders right from the Blue Apron Test Kitchen, and San Francisco is our last stop! This bold, colorful dish is an ode to the vibrant flavors of California cooking, which you’ll make by stirring fragrant basil pesto into jasmine rice, then topping it with bright, lemony feta and a rich soft-boiled egg. 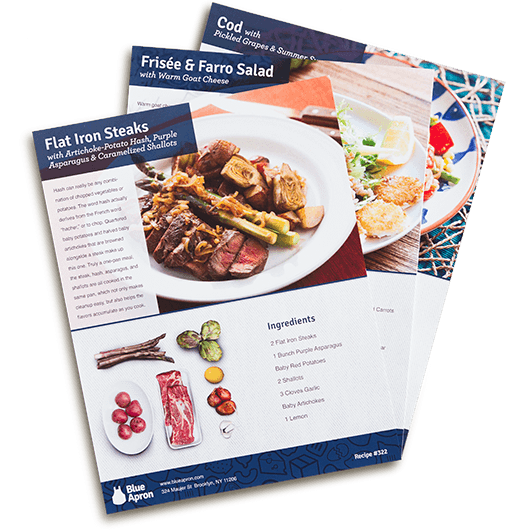 To learn more about what inspired this dish, go to roadtrip.blueapron.com/sanfran. Fill a small pot with water; cover and heat to boiling on high. Once boiling, carefully add the eggs. Cook, uncovered, 6 to 7 minutes. Drain thoroughly and rinse under cold water 30 seconds to 1 minute to stop the cooking process. Wipe out the pot. 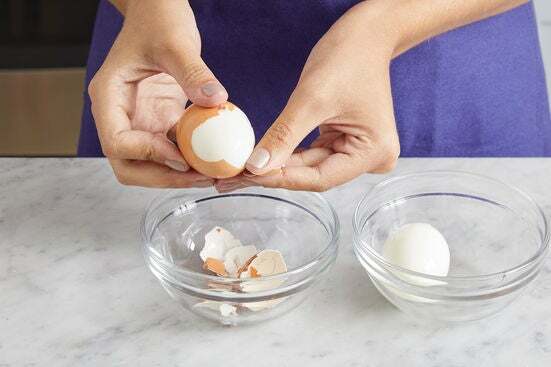 When cool enough to handle, carefully peel the cooked eggs. Season with salt and pepper. While the eggs cook, wash and dry the fresh produce. Peel and roughly chop 2 cloves of garlic. Separate the kale leaves from the stems; discard the stems, then roughly chop the leaves. 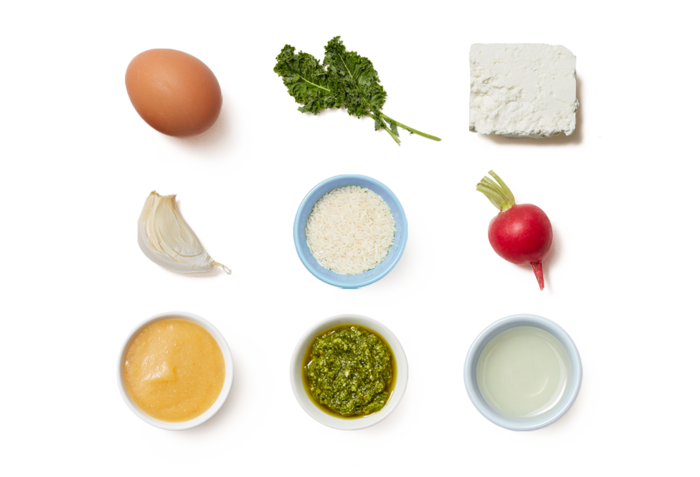 In a bowl, combine the feta (crumbling before adding), lemon purée, and 1 tablespoon of olive oil. Season with salt and pepper. Halve the radishes lengthwise, then thinly slice crosswise. Place in a bowl; add the vinegar. Season with salt and pepper. Set aside to marinate, stirring occasionally, at least 10 minutes. While the radishes marinate, in the same pot, combine the rice, a big pinch of salt, and 1 cup of water. Heat to boiling on high. Once boiling, reduce the heat to low. Cover and cook, without stirring, 12 to 14 minutes, or until the water has been absorbed and the rice is tender. Turn off the heat and fluff with a fork. Stir in the pesto until thoroughly combined. While the rice cooks, in a medium pan (nonstick, if you have one), heat 2 teaspoons of olive oil on medium-high until hot. Add the chopped garlic. Cook, stirring frequently, 30 seconds to 1 minute, or until slightly softened. 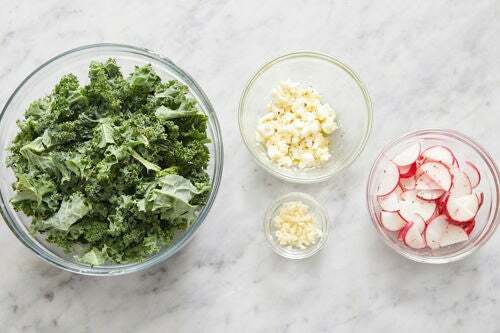 Add the chopped kale; season with salt and pepper. Cook, stirring occasionally, 2 to 3 minutes, or until slightly wilted. Add 1/4 cup of water (carefully, as the liquid may splatter). 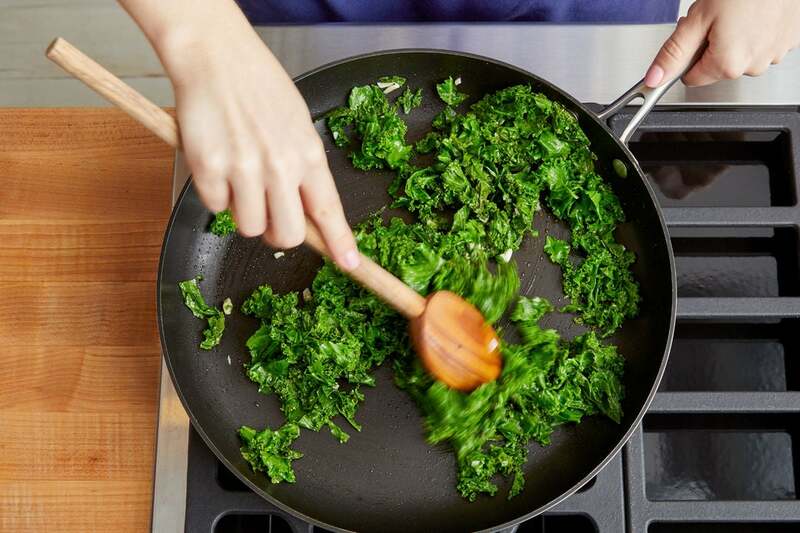 Cook, stirring occasionally, 3 to 4 minutes, until the kale is wilted and the water has cooked off. Turn off the heat. 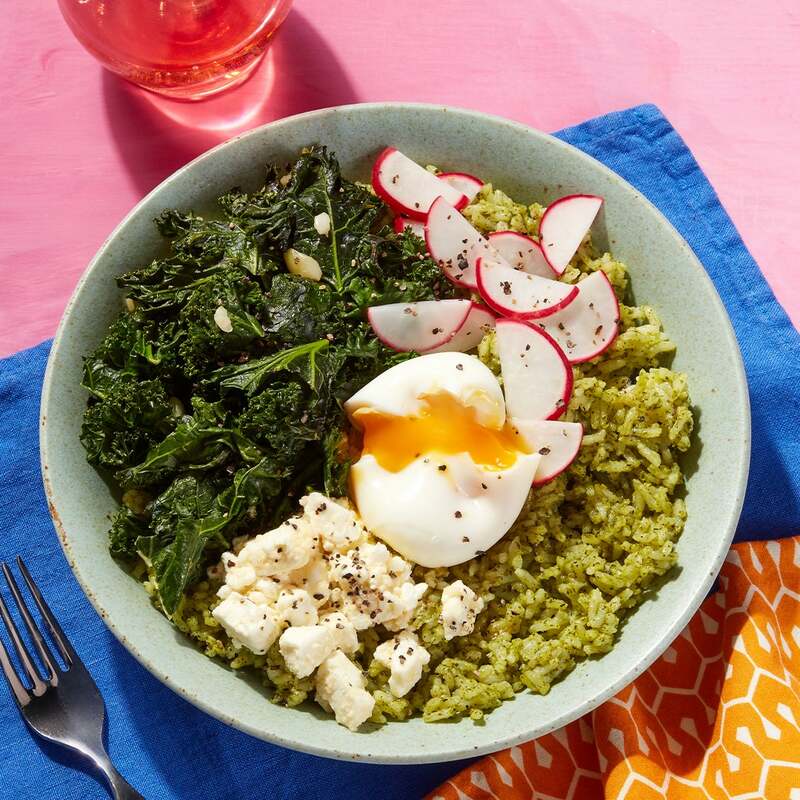 Serve the pesto rice topped with the cooked kale, marinated radishes (including any liquid), seasoned eggs, and lemon feta. Enjoy!